The blog's not dead. Seriously, it's not. I've been busy (as usual) with The Day Job, and #ThreeKidz, and life, and whatnot, but the blog isn't dead. I just don't have the usual amount of time to dedicate to this thing that I used to. It happens. 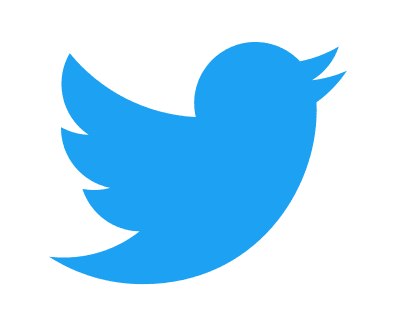 If you really need to keep up with me, there's always Twitter. Baltimore State's Attorney Marilyn Mosby Was Once On "Judge Judy" - Wingnuts pounced on this as some sort of evidence that she shouldn't be trying the cops who shot Freddie Gray, which is really silly. She was 20 years old when this happened, acquitted herself well, and won. Nothing to see here, move right along. Twitter users hit out at Jay Z and Beyonce's 'almost all white' Tidal staff picture - Uhhh, I've been to Norway. I saw a handful of black people while there, but it wasn't Harlem either. Not sure what this "outrage" is all about. Seriously, Black Twitter, ya'll gotta chill. National Review Editor: ‘#SomeBlackLivesDontMatter’ to Civil Rights Movement - Seriously, read this foolishness and try not to throw your laptop out the window. Martin O'Malley the latest Democrat to join 2016 POTUS Field - Yeah, that's gonna end badly. While you were busy inside the house watching the Clippers self-destruct against the Rockets enjoying a beautiful Sunday outdoors, a startling episode of gang violence occurred in broad daylight down in Waco, TX. 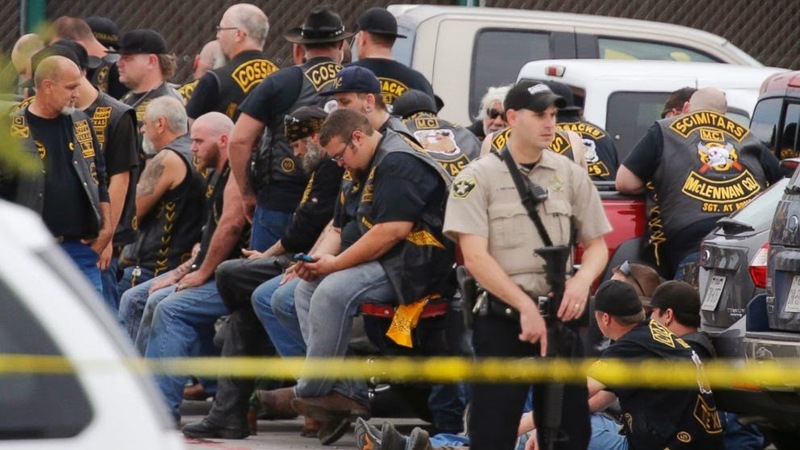 Nearly 200 people have been arrested in Texas on charges stemming from a wild biker gang shootout that left nine dead and 18 injured Sunday. All of the 192 people face charges of engaging in organized crime and were in the process of being booked by Waco police Monday morning, the department said in a statement. Meanwhile, Twin Peaks, the “breastaurant” where the violence began around lunchtime Sunday, has been ordered shuttered for a week “due to the ongoing danger it presents to our community,” police said. The restaurant, featuring scantily clad female waitresses, was aware of the biker meetup and refused to cooperate with police, authorities said. The Texas Alcoholic Beverage Commission is investigating the franchise, one of several found around the country. Twin Peaks corporate headquarters is “seriously considering revoking” the Waco franchise’s agreement after the bloodshed, a spokesperson said. Police recovered some 100 weapons from the blood-spattered parking lot after the massive shootout, which began with a “push or a shove or with somebody looking at somebody wrong” inside the restaurant’s bathroom, Waco police Sgt. W. Patrick Swanton said Sunday. Police officers were on scene after learning of the gang meetup and were able to open fire when the melee began. The nine killed belonged to two gangs, the Cossacks and Bandidos, and no police officers were reported injured. “We are not horse playing,” Swanton said. “So many rounds were fired from bad guy weapons here. It is amazing that innocent civilians were not injured here." No murder or weapons charges have been announced, though police continue to pour through the complex, carnage-filled scene, in a shopping plaza off Interstate 35 about 100 miles south of Dallas. The Bandidos are considered a “Tier 2” threat, on par with the Bloods, Crips and Aryan Brotherhood, according to a 2014 gang assessment by the Texas Department of Public Safety. When I first heard about this, my initial thought was "Damn, this is like a real-life episode of Sons Of Anarchy". Then I saw the photo at the top of this post and thought, "Damn, this is exactly like a real-life episode of Sons Of Anarchy". Note that these gang members, who exchanged fire with the cops, are allowed to mill about as if they weren't just involved in a massive shootout that left 9 dead and 18 critically injured. That one guy is on his iPhone 5c, probably updating his Yelp review of the restaurant they just shot up ("The chicken wings were unusually dry today!") and the cops, many of whom were just shot at by these morons, literally have their backs turned to the suspects!!! The worst part of all of this is that the local cops had intel on this biker meetup for weeks, and instead of telling the restaurant owner to not allow 200+ gang members from rival sects to have Sunday brunch at his this establishment, allowed the meetup to occur and sat idly in the parking lot just waiting for sh*t to jump off, which, to the surprise of nobody, it did. And yes, the possibility of retribution has the city on high alert, as gang members will undoubtedly try and get back at each other for those dry chicken wings. I hate stating the glaringly obvious, but didn't we just watch weeks of peaceful protesters in Baltimore and Ferguson get their heads busted wide open for merely asking that cops be held accountable for their actions? 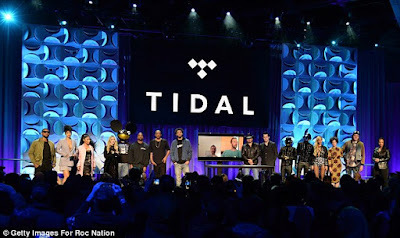 Didn't we read thinkpiece after thinkpiece about how all of black America needed to be ashamed about the actions of these "violent thugs and rioters", and how absentee fathers, lack of personal responsibility, deteriorating families, a nihilistic culture, Democrat-run cities, and Rich Homie Quan were to blame for all of this? I'm waiting on the 10,000 word analyses of white-on-white crime, personal responsibility, the lack of white fathers, Republican-run cities, how Hollywood glamorizes the thug culture of bikers, and how poor policing lead to this massacre, which miraculously didn't injure any innocent bystanders (that we know of yet) in a busy shopping center. I also can't wait on Conservatives to call on President Obama to condemn the actions of these thugs, and demand that white America take some accountability for this. Most of the blame thus far has been put on the restaurant that hosted this Gang Brunch. How typical. Question: Is the media giving these gang members a free pass? How would this have played out differently if the 5 gangs involved had mostly black members? 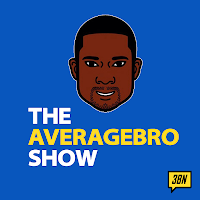 Nancy Gordeuk, TNT Academy, And Should Racist People Lose Their Jobs?!? I'm sure ya'll have already seen this, assuming you weren't under a rock or too consumed with NBA buzzer beaters this weekend. A high school graduation in Georgia turned bizarre Friday night when the school’s founder and principal accused African-American attendees of disrupting the program that she had flubbed herself. 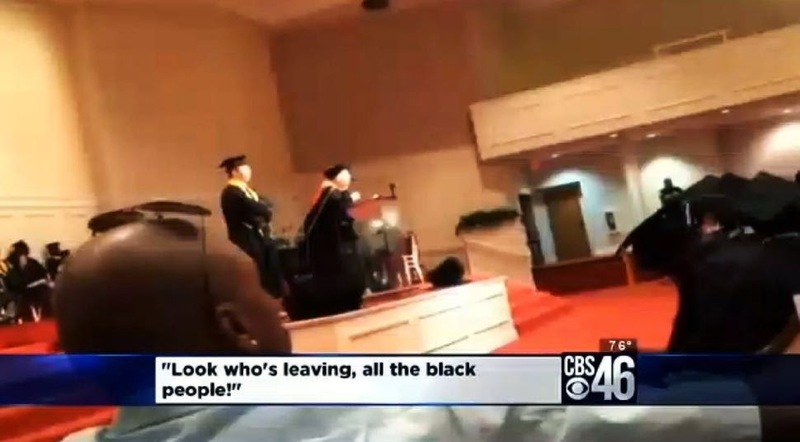 Nancy Gordeuk, of the nontraditional TNT Academy in Atlanta suburb Stone Mountain, blurted out, “Look who’s leaving — all the black people” to the stunned audience at a local church, two videos of the incident show. The graduation had fallen off track when Gordeuk somehow forgot to call on the school’s valedictorian to speak and then attempted to call the room back to order when alerted to her mistake at the end of the bumpy ceremony, WAFB-TV reported. The entire audience gets up and leaves after the educator’s rant devolves into the race-based accusation. Gordeuk apologized in a TV interview the following day and claimed the video had been taken out of context. But longer footage of the incident recorded in a different section of the audience shows her calling a man who was filming with his tablet a “goober” and a “coward” and challenging him to identify himself. Here's the video. I'm not gonna lie, at first I thought this was a Lisa Lampanelli standup routine gone viral, but then googled the school and found out TNT Academy is an actual real life thing and holy sh*t, this woman's in charge of an actual real life school!!!! So far, the response over the internets has been predictable. A lot of people think this woman is a best uncouth, and at worst, blatantly racist to single out black people for leaving early when clearly there are lots of people of all races leaving. Others are siding with Mrs. Gordeuk, asserting that she was merely calling attention to the race of the majority of those leaving, and besides, "if blacks didn't loot and riot in Baltimore nobody would say such things in the first place" and "if only you people stopped killing each other and pulled up your pants and quit voting for Democrats all the time". Gordeuk, in a strange sequence of events, initially blamed the devil (!!!) for her momentary racism before settling on the "goobers" in the audience who brought the "racist comment" (her words) out of her mouth. Here's the thing my parents always taught me: Nobody can bring anything out of you that's not already in there. Nobody. I find it quite hard to believe that this was the first time Gordeuk done anything suspect, and many of those in attendance at the graduation seems to echo that sentiment. Since she's technically the founder of the school, it's unlikely she's be fired, but she might just need to fall on the sword anyway since whatever government funding her school gets is inevitably gonna be pulled after this. And props to parents of all races for getting up and leaving after this classless and offensive display. Seriously, America, grow up already. Question: Does this lady deserve to be fired? Was her statement racist, or just racial?!? Seriously, three days, three buzzer beating game winners. In what other sport does this occur? Chris Christie Literally Just Ate Away His White House Aspirations. No need to lie: I've gone on record repeatedly saying that (pre-BridgeGate) Chris Christie was a guy I'd at least remotely consider voting for in 2016. I'm no Hilary fan (at all) and a moderate Conservative like Christie seemed like a viable alternative at one point. Of course, his past two years have gone about as well as the New York Jets past two years have, with one controversy after the next. Big C.R.I.S. has essentially been lapped by contemporaries like Jeb Bush and Scott Walker, and it seemed unlikely that he would even throw his hat in the ring. Correction: he won't be throwing his hat into the ring. New Jersey Gov. 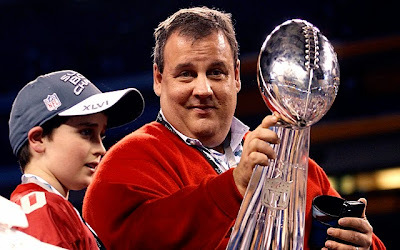 Chris Christie (R) spent more than $82,000 in taxpayer money on concessions at NFL games -- a sum that Republicans later reimbursed to the state Treasury to avoid impropriety. According to a New Jersey Watchdog analysis of records from the governor's office that was published Monday, Christie used $300,000 of his $360,000 state allowance over five years to purchase food, alcohol and desserts. Some $82,594 of that sum went to Delaware North Sportservice, which operates the concessions at MetLife Stadium, the home of both the New York Giants and Jets teams. To avoid a potential scandal that could embarrass their rising political star, the New Jersey Republican State Committee reimbursed the Treasury in March 2012 for Christie’s purchases from “DNS Sports.” Since then, the governor has refrained from using his expense account at MetLife and other sports venues. According to the analysis, Christie was also a big fan of the grocery store Wegmans Food Markets, where he spent $76,373 in 53 shopping runs. A spokesman for the governor defended the nature of the expenses, explaining they were for "official" and "business" purposes. The punchlines sorta write themselves here. I guy who's battled weight problems his entire life gets undone by, what else, food? How fitting. It's also sorta ironic that a guy who railed against teacher pensions to the point of bullying has wasted money in the most wasteful way possible: his gullet. And at a stadium for a team he doesn't even like (he's a noted Cowboys fan, which is just all kinda of stupid). $82,594 on snacks? What the hell was he eating, gold-plated nachos? Have a seat, buddy. Actually, make that two. Question: Does the lack of a moderate conservative to balance out Hillary concern you at all? Would you have considered voting for this guy under any circumstances? What's his next career move?